Yes, I know they're actually dressed for Dia de los Muertos but that's sorta the same thing. Of the 4,000 people living on the streets in Multnomah County, more than half have serious mental illness and more than a third have physical disabilities. You'd think many of these people could qualify for disability income help from the government. The short answer is they probably could. The reality is the more disabled they are, the harder it is for them to pursue benefits. 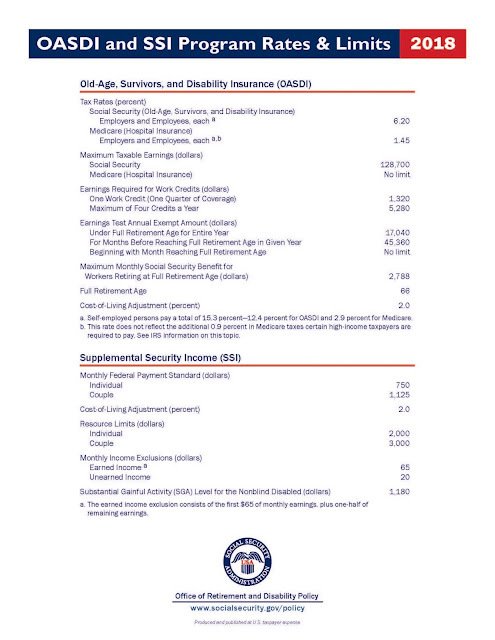 The National Multiple Sclerosis Society has issued a new edition of Applying for Social Security Disability Benefits: A Guidebook for People with MS and their Healthcare Providers. The 88 page guidebook includes a number of forms and checklists. I think there may be one important explanation that apparently wasn't considered by the study's authors. People become poorer because they're sicker. Sickness limits the ability to work. Even with relatively generous government benefits in England, the ability to accumulate wealth is closely tied to the ability to work. You can't put away much money if you're on the dole. By the way, don't think that government healthcare in England pays for everything. It doesn't pay for dental care, for instance. Brits are notorious for having bad teeth. Poor dental care is bad for your general health. Of course, there are plenty of Americans who lack dental care. A 50% Tax Encourages People To Work? We are announcing a demonstration project for the Social Security disability program under title II of the Social Security Act (Act). Under this project, we will modify program rules applied to beneficiaries who work and receive title II disability benefits. We are required to conduct the Promoting Opportunity Demonstration (POD), in compliance with section 823 of the Bipartisan Budget Act (BBA) of 2015. In this project, we will test simplified work incentives and use a benefit offset based on earnings as an alternative to rules we currently apply to title II disability beneficiaries who work. Under the benefit offset, we will reduce title II disability benefits by $1 for every $2 that a beneficiary earns above a certain threshold. We will select beneficiaries and offer them the opportunity to volunteer for the project . When we make the selection, we will include beneficiaries who receive title II disability benefits only as well as beneficiaries who receive both title II disability benefits and Supplemental Security Income (SSI) based on disability or blindness under title XVI of the Act. This amounts to a 50% tax on earnings on top of the regular taxes the worker is already paying. This is supposed to encourage people to work? In any case, it won't matter what incentives they give; few of these disabled people have the capacity to do any significant amount of work. They're too sick. That's why their disability claims were approved. Getting approved is very tough. They're not going to get better. Almost all the people who had a realistic hope of getting better never got on benefits in the first place because of the one year duration requirement. If you haven't gotten better after a year, you're probably never going to get better. By the way, the abbreviation POD already has an established meaning at Social Security -- Period Of Disability. I wish they wouldn't try to use that for something else related to disability benefits. It's confusing. The lifetime earnings of mothers with one child are 28 percent less than the earnings of childless women, all else equal, and each additional child lowers lifetime earnings by another 3 percent. When examining Social Security benefits, the motherhood penalty is smaller than the earnings penalty. But mothers with one child still receive 16 percent less in benefits than non-mothers, and each additional child reduces benefits by another 2 percent. The motherhood penalty is almost negligible among women receiving spousal benefits, but mothers who receive benefits on only their own earnings histories see significantly lower Social Security income. Social Security benefits paid more than one trillion dollars in fiscal year 2017. This is the first time that benefits in a fiscal year topped the $1 trillion mark. The 2017 fiscal year ended on September 30, 2017. Update: When I posted this, I expected that someone would quickly step up to explain the reason this has been published. I figured there had to be some important point that Social Security wanted to make that was just eluding me. So far, no one has stepped up to explain this. Maybe a lot of other people are mystified by this. I think it mostly has to do with federal court but I don't see how it's going to help the agency. The Atlantic may not be an important shaper of opinion among Democrats but this piece is the most convincing of several I've read saying that a major problem for Democrats in 2016 was a perceived lack of conviction caused by listening too much to the Third Way, a group heavily supported by Wall Street interests and country club Democrats, which has counseled Democrats to support a "centrist" way, even asking Democrats to be open to cutting Social Security. While Hillary Clinton does have convictions, she didn't campaign that way. Neither did most other Democratic candidates apart from Bernie Sanders. For his part, Trump projected conviction even though he seems to have no true convictions unless you count greed and arrogance. There are strong signs that Democratic candidates are eager to avoid repeating the mistake of standing for little. 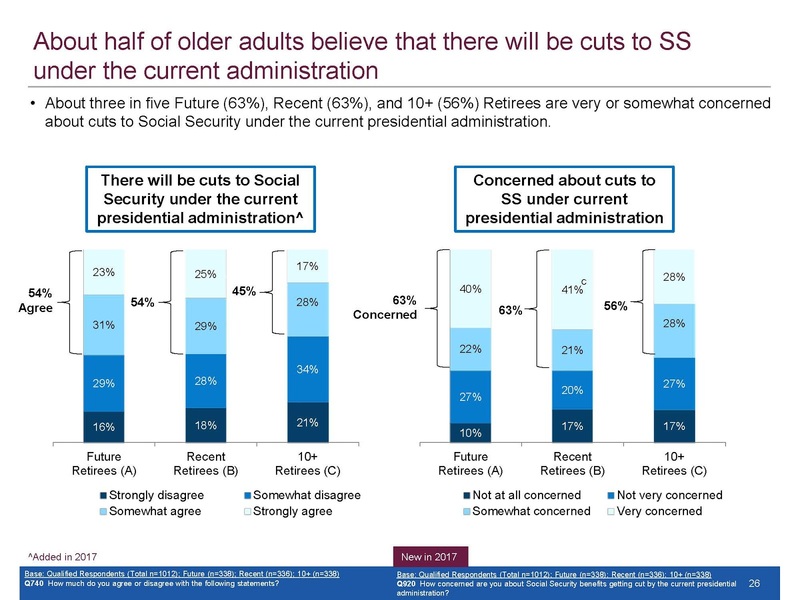 I write about this because aggressively supporting increases in Social Security benefits would be an excellent way for Democrats to show conviction in 2018. Whether they make it a centerpiece of their 2018 campaign or not, it's clear that if Democrats win in 2018, there's going to be a dramatically different atmosphere in Washington and that will affect Social Security. If nothing else, Democratic leaders won't be suggesting any openness to Social Security "reform" in the foreseeable future. If you support that, you're not a Democrat. The Third Way may have money but it doesn't have votes and, in the end, votes are what matter. Why So Little Attention To Retiree Fraud? I don't bother to post about it since the stories are repetitive and boring but Social Security prosecutes a number of people each year for disability benefits fraud. It's usually recipients who failed to report under the table earnings. In comparison to the number of people drawing benefits it's a small number. I never hear anything about another similar type of Social Security fraud, one that I'm pretty sure happens regularly. It may even happen at the same rate as that of disability recipients hiding earnings. That's early retiree fraud. We don't have a retirement earnings test for those over full retirement age, currently 66, but we do for those between 62 and 66. Retirement benefits for people in this age group are subject to reduction due to earnings. There are many, many retirees between 62 and 66. Surely, some of them are working under the table and drawing retirement benefits they're not entitled to. 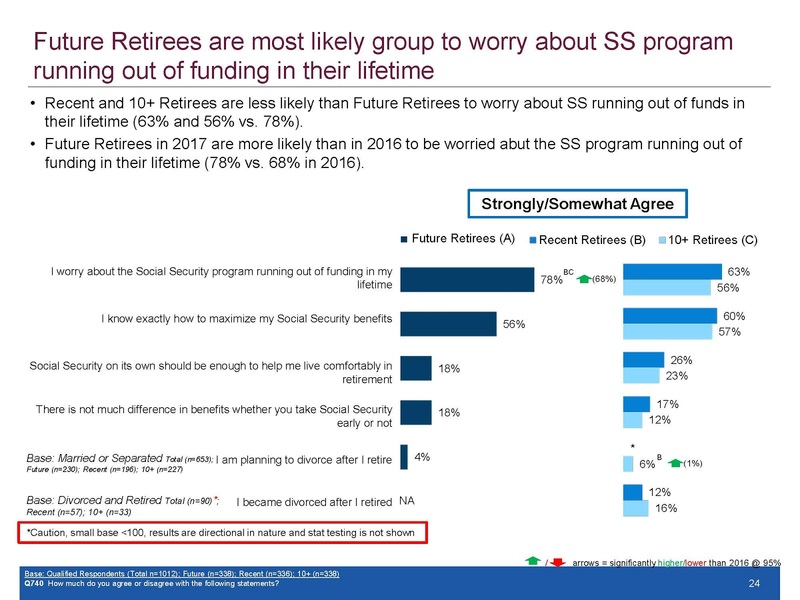 Is Social Security making any effort to root out retiree benefit fraud? The only retirement benefit fraud I ever hear about is concealing a death and continuing to collect the decedent's benefits. That can't be the only fraud going on. Why all the attention to disability recipients and little or no attention to retiree benefit fraud? Why single out disability recipients? Do Media Pieces On The Hearing Backlog At Social Security Even Matter? Another day, another media piece on the hearing backlog at Social Security, this one with an interview of former Social Security Commissioner Michael Astrue. Bed bugs inside Huntsville's Social Security office on Research Dr. have forced it to shut down for the second time in two weeks. Regional communications director Patti Patterson [said] a pest control company first confirmed signs of bed bugs on Oct. 11. She said it was in an isolated area in the reception area in the 13,000 square foot building. 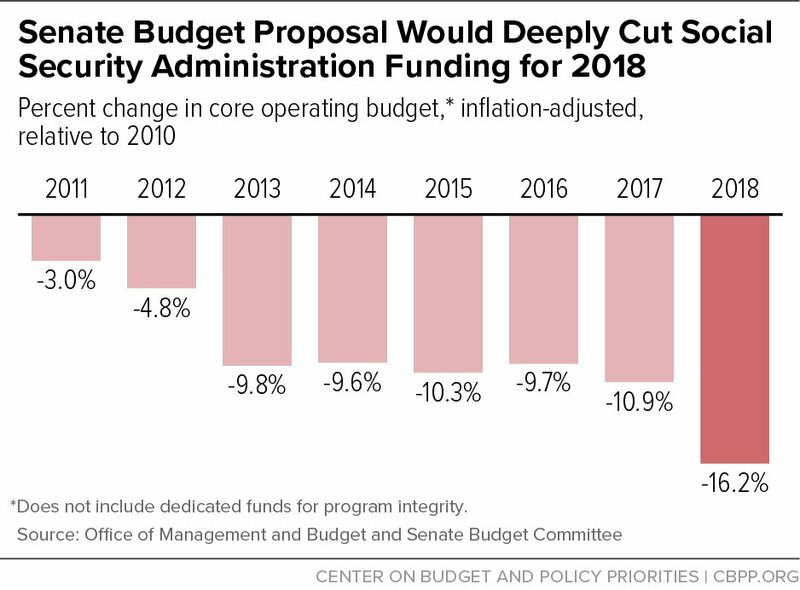 Since they’ve been unsuccessful (thus far) at cutting Social Security benefits, congressional Republicans are continuing to resort to the backdoor assault on the program by starving its administrative budget. In the latest versions of the agency’s budget under consideration in Washington, the House is planning to keep the budget at the same inadequate funding level as the current year. The ever more ambitious Senate is trying to cut it by $400 million, or nearly 4%. Whether that search for fraud is worth the money is hard to gauge, since the level of improper payment in Social Security disability has been estimated at less than 1%, with underpayment a bigger problem than overpayment. A far greater impact on disability applicants is the record backlog. 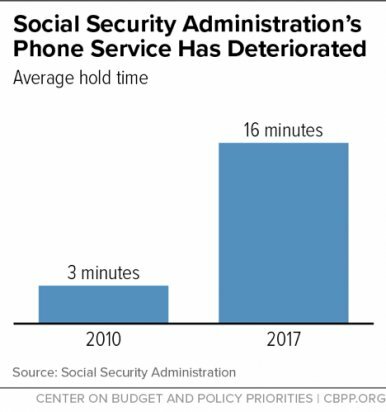 The Social Security Administration has been struggling with that issue for nearly two decades, but has been unable to get a handle on it consistently because of Congressional budget cuts. 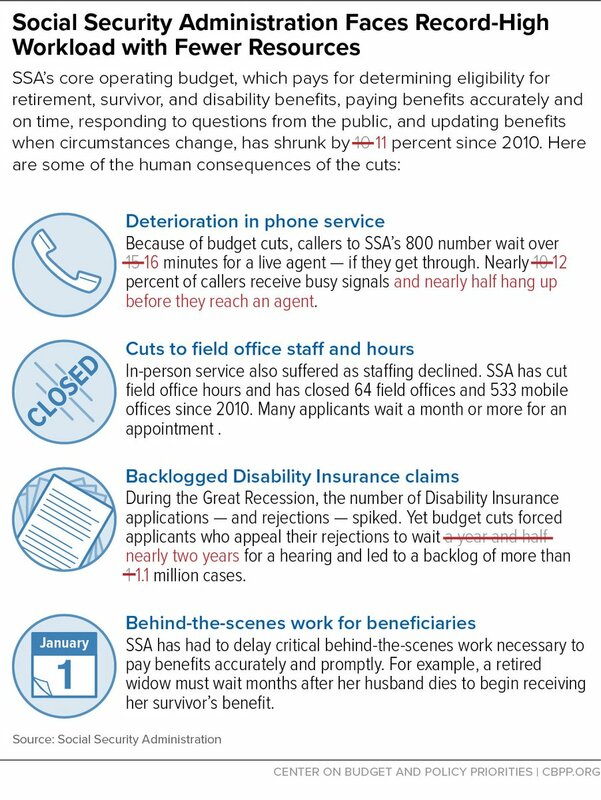 The backlog came down sharply from fiscal 2008 through fiscal 2012, a period in which the average wait time for a disability decision fell from more than 500 days to 350 days, the first time the wait had been less than a year since 2003. Dean Otto of Charlotte, North Carolina, was riding his bike one humid morning in September 2016 when the unimaginable occurred: The husband, father and marathoner was struck by a truck. His spine was fractured. His pelvis, tailbone and ribs were broken. And he could not feel his legs. After surgery, Otto's surgeon Dr. Matt McGirt gave him a 1 percent to 2 percent chance of ever walking on his own again. During Otto's rehabilitation, he was also visited in the hospital by Will Huffman, the driver of the truck. The two became friends. Otto said today that forgiveness had been key to his recovery. Eventually, Otto invited Huffman and McGirt, with whom he'd formed a friendship as well, to run a half-marathon with him. Neither men had run in years but felt motivated by Otto's perseverance. I'm glad that Mr. Otto recovered but I hate this kind of story. Mr. Otto's hard work and good attitude may have been some help in his recovery but mostly he just got lucky or, perhaps, his surgeon was a poor prognosticator. What about all the other people who suffer severe injuries and never recover? Is it because they didn't work as hard at recovery as Mr. Otto or because they weren't brave enough or because they lacked the grace that Mr. Otto showed in befriending the man responsible for his injury? We like hearing stories like Mr. Otto's because we want to believe that if we suffer some terrible injury that our courage and hard work and the grace of God will allow us to recover but we're wrong. Whether we recover mostly has to do with the nature of our injury rather than factors attributable to ourselves. We'd like to believe that we can control what happens but we can't. The instinct to believe that we can recover from injury or illness is a real problem for those who suddenly become disabled. People think recovery is right around the corner despite strong signs that they're not recovering. They fail to take appropriate action to try to secure an income for themselves -- applying for Social Security disability benefits -- even as their financial situation rapidly deteriorates. They regard themselves as failures when they finally have to concede that they aren't recovering. Why can't they transcend their injuries like Mr. Otto did? What "right stuff" did he have that they lack? This sense of failure contributes to depression which compounds the disability they suffer. Mr. Otto's story may seem inspirational but it's a positive menace to many people who have suffered serious injury. Stories like Mr. Otto's also lead many people to believe that most who receive Social Security disability benefits aren't truly disabled, that they're people who could have transcended their injuries or illnesses and continued working if they really wanted to. If Mr. Otto could do it, why can't anyone? Disability isn't a real thing; it's just a lack of courage and hard work. If we have any type of disability benefits, it should only be for the most severely disabled because we don't want a bunch of lazy people abusing the system. Stories like Mr. Otto's are part of the reason why we got to the incredibly harsh system of disability benefits we have now. By the way, in case Mr. Otto or some member of his family happens to read this, I'm not blaming you, for goodness sake. You're not the problem. The problem is everyone's very human but still pathetic urge to believe that we can overcome all injuries and illnesses when that's just not true. I just uploaded a 500+ page medical report on one of my clients. This isn't unusual these days. Electronic medical records have led to explosive growth in the quantity of medical records. The hearing offices are drowning in medical records. Why do I have a feeling that Social Security's next Ruling will urgently demand that I not submit lengthy medical reports, that I somehow cull out what's not really important? Last Sunday, October 8, wildfires started in the Napa and Sonoma counties of California, quickly spreading to surrounding counties due to high winds. Firefighters battled 17 separate and active wildfires. At last count, these wildfires burned more than 221,000 acres and destroyed more than 3,500 homes and businesses, affecting thousands of individuals. Thankfully, all of the region’s employees are safe and accounted for. Twenty-six employees are under mandatory evacuation and the fires destroyed one employee’s home. Currently, two offices in the Napa and Sonoma areas remain closed; the fires have directly affected three other offices, resulting in short-term or intermittent closures. There have been no reports of damage to any of the field offices in the impacted area. This is a very fluid situation. Please keep our colleagues in your prayers. In Puerto Rico and the U.S. Virgin Islands, some improvements have occurred. Power continues to fluctuate, with 17 percent of the population now with power. We opened the San Juan, San Patricio, and Caguas field offices to employees yesterday, for limited hours. We anticipate opening these offices to the public today. We also opened the Mayaguez and San Juan hearing offices to employees as well yesterday. We are working to begin rescheduling hearings in those offices. A special thanks to personnel from the New York Regional office and the Office of the Inspector General, who are on site and have been helping employees in recovery efforts. I will continue to keep you updated on the status of our employees and offices affected by these natural disasters as we try to restore our services to help those in need. Disgraced former disability lawyer Eric C. Conn plotted his escape for a year before absconding from home detention weeks before he was to be sentenced in a massive fraud case, according to a federal indictment unsealed Monday. I've never crossed the U.S.-Mexico border. Don't the Mexican authorities ask to see a passport? Why Are There So Many Disabiltiy Recipients In Kentucky? While some argue the considerable increase in DI beneficiaries in Kentucky is the result of a deficient culture that doesn’t value work, the data does not support this. The rise in DI beneficiaries in Kentucky — from 148,375 in 2000 to 203,471 in 2016 — might seem alarming, but it is actually closely related to demographic factors, including the aging of the large baby boomer population and the increase in the number of women in the workforce who have the paid work history to qualify for DI. Older workers are simply more likely to become disabled, and there has been growth in the number of older workers as the baby boomers aged. The likelihood that a worker will collect DI doubles between ages 30 and 40, 40 and 50, and ages 50 and 60. In Kentucky, 76 percent of DI beneficiaries are between 50 and 64 years old. Kentucky, like the nation as a whole, has been undergoing a swell of population in that age group as the youngest baby boomers began to turn 50 in the late 1990s. As a share of the state’s population, those 50-64, has increased 49 percent, from 13.6 percent in 1990 to 20.2 percent in 2016. 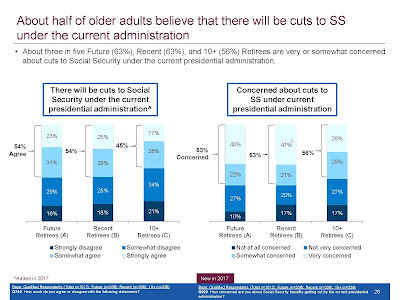 This also means, however, that we should expect the number of DI beneficiaries to decline as more boomers reach full retirement age – and out of eligibility for DI. And that is exactly what has been happening. After rising for a number of years, DI enrollment in Kentucky has dropped every year since 2013. Women have also become a larger share of the workforce and subsequently, a larger share have been paying into Social Security and begun to qualify for DI. This is why women have accounted for much of Kentucky’s growth in DI beneficiaries. In fact the number of men receiving DI in Kentucky grew 41 percent between 2000 and 2016, but women with DI benefits nearly doubled, at 95 percent. 5 percent of Kentuckians aged 25 or older completed at least a high school degree (3rd worst in the U.S.). The median age in Kentucky is 38.5 years old (18th oldest in the U.S.). Only 3.1 percent of Kentuckians are foreign-born (6th lowest in the U.S.). 4 percent of Kentuckians work a blue collar job (14th highest in the U.S.). There's also the problem that by the time they finally get to talk to someone they're really exasperated and hard to deal with. I post this -- and Social Security issued it -- because at times past some agency employees have felt it was improper, even illegal, for a third party, such as an attorney, to complete an online claim form at the behest of a claimant. This always seemed ridiculous to me but it must still make some sense to Social Security since they are still insisting that if a third party completes the online form, what has been filed is only a protective filing date until the claimant puts her or her "wet signature" on a piece of paper. I've often wondered whether someone could make a living just charging people a fee for helping them file their Social Security claims of all sorts; not representing them just helping them file claims. Social Security would probably try to hassle anyone who did this by insisting they get any fees they charge approved case by case even though there would be no real representation but should they? People need better help than they're getting from the Social Security Administration. Their employees do their best but the agency is understaffed and unable to deliver service at the level many people need. The groundbreaking study of outcomes covers a 35-year timeframe between 1980-2015. During that time, Kentucky's population grew by 21 percent while its combined disability enrollment grew exponentially by 249 percent. Childhood enrollment growth was an astounding 449 percent. The report states Social Security disability benefit dependence should be created by genuinely disabling conditions which permanently preclude individuals from ever performing remunerative work. For people so afflicted, the integrity and solvency of the system must be preserved. Tragically, some individuals in Kentucky have never experienced life without public assistance. The culture within the Social Security Administration (SSA) is described as a bureaucratic institution, the SSA is motivated to protect and, if possible, expand the scope of its activities across the full horizon of its operational domain. 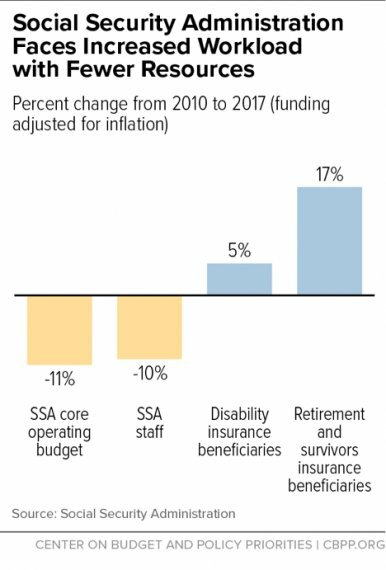 For the SSA, claims and beneficiaries equal budget. This simple equation drives the SSAs internal culture thereby making it a significant obstacle to long-term change. 1) Mandate the use of objective medical evidence using best practices in forensic evaluation to determine benefit eligibility. Objective evidence of injury or illness must be paired with objective functional capacity evaluations that include cross-validation and intra-test reliability protocols which measure the legitimacy of demonstrated physical effort and limitation. 2) Mandate the use of best practices in forensic psychological evaluation to include symptom and performance validity tests such as the Miller Forensic Assessment of Symptoms Test (M-FAST), the Structured Inventory of Malingered Symptomatology (SIMS), the Test of Memory and Malingering (TOMM), and the Rey 15 Item Memory Test. These tests should be accompanied with the application of clinical thresholds of benefit eligibility. 3) Remove all subjective non-severe conditions from the listing of eligible conditions and require mandatory termination reviews for all recoupable conditions based on clinically accepted recovery timelines. 4) Eliminate the SSAs Medical Improvement evidentiary standard of continuing disability review in favor of an Objective Functionality review founded upon objective forensic evaluation standards. 5) Cease payment of benefits upon CDR termination pending the outcome of an appeal to an ALJ. The problem with having fewer than 1,000 occupations in your OIS is that many, perhaps most, of the occupations described would actually be composites, covering disparate jobs performed in significantly different ways. Doing this makes makes the data presentation muddy. Many of the occupations will be done at the sedentary, light and medium exertional levels as well as at the skilled, semi-skilled and unskilled levels, depending upon how it's done at the exact employer. You can use such such muddy data to justify anything you want to justify. I fear that the ability to justify any desired result is exactly the point for Social Security. The agency can say that there are some jobs in a broad category that are performed at the sedentary level and that there are some jobs in that same broad category that are performed at the unskilled level without having to show that they are the same job. The "basic mental and cognitive work requirements" would be the least that is required by any employer rather than what is normally required by an employer. Instead of the horribly outdated DOT, we'd have a synthetic OIS that would give "answers" for which there would be no real world proof. Real people would be denied disability benefits based upon a "let them eat cake" OIS. The National Organization of Social Security Claimants Representatives (NOSSCR) has responded to Social Security Ruling 17-4p. I've never seen any of these claims. I can't imagine many are filed. The Washington Post has added one more piece to its series stigmatizing Social Security disability benefits recipients. Through SSRs, we make available to the public precedential decisions relating to the Federal old-age, survivors, disability, supplemental security income, and special veterans’ benefits programs. We may base SSRs on determinations or decisions made at all levels of administrative adjudication, Federal court decisions, Commissioner’s decisions, opinions of the Office of the General Counsel, or other interpretations of the law and regulations. Although SSRs do not have the same force and effect as statutes or regulations, they are binding on all components of the Social Security Administration. 20 CFR 402.35(b)(1). The SSR specifically says that it does not have the same force or effect as a statute or regulation. It only talks about it being binding upon the Social Security Administration itself. Doesn't this say on its face that it doesn't bind members of the public? The Administrative Procedure Act (APA) says that regulations, which have the force and effect of law, can only be adopted after a cumbersome process which requires publication of the proposed regulation in the Federal Register, allowing the public to comment on the proposed regulation and considering those comments before final adoption. Presidential orders also require that proposed and final regulations be submitted to the Office of Management and Budget, which is part of the White House, for approval before publication in the Federal Register. The APA provides that the notice and comment procedure applies to all rules other than "interpretative rules, general statements of policy, or rules of agency organization, procedure, or practice." That's why the preamble quoted above is attached to all SSRs. Isn't the fact that regulations can bind the public the reason why the APA requires notice and comment? Binding the public is the role of statutes and regulations, not SSRs. I don't think this SSR passes muster under the APA. I know the agency is trying to address conduct it has good reason to consider obnoxious but there are limits. Would Social Security really try to discipline someone based upon the contents of a mere ruling? I do not know if there is any practical way to notify the Social Security Administration immediately of the existence of new medical evidence. Am I supposed to send Social Security a notice about each visit my client has with a physician? Am I required to separately obtain a report on each physician visit? This appears to impose a duty upon an attorney to obtain every piece of medical evidence concerning a client -- including the hundreds, if not thousands, of pages of records generated by each hospitalization. The Ruling says we can't just inform Social Security of the existence of evidence. We have to obtain it and there is no limit upon this duty. How reasonable is this? I know there's some people that Social Security wants to put out of business. They probably deserve to be put out of business but this is over the top. No one will be able to strictly comply with this. No one. A former Social Security Administration employee from Worcester who pleaded guilty in June to fraudulently disbursing thousands of dollars in government money in return for bribes was sentenced to 15 months in federal prison Friday. Why Should Becoming Disabled Lead To Impoverishment? ... My wife and I began selling our things. We had to sell our car, and I sold my motorcycle, which I had built from the ground up. It wasn’t anything special, nothing fancy; but it was something I put a lot of time and sweat in to. I sold it to cover living expenses for about four months. We sold our furniture, and my wife took her clothes to a secondhand consignment shop in Las Vegas to sell them, too. I had 23 remote-controlled cars that I had accumulated over many years — one of my hobbies. I had to sell the entire collection to make it by. Kitchen appliances and everything else we could think of to put up for sale went, too. By the way, the author and whoever at the Washington Post edited this piece seem to be confused about the difference between Medicare and Medicaid but there's nothing unusual about that.